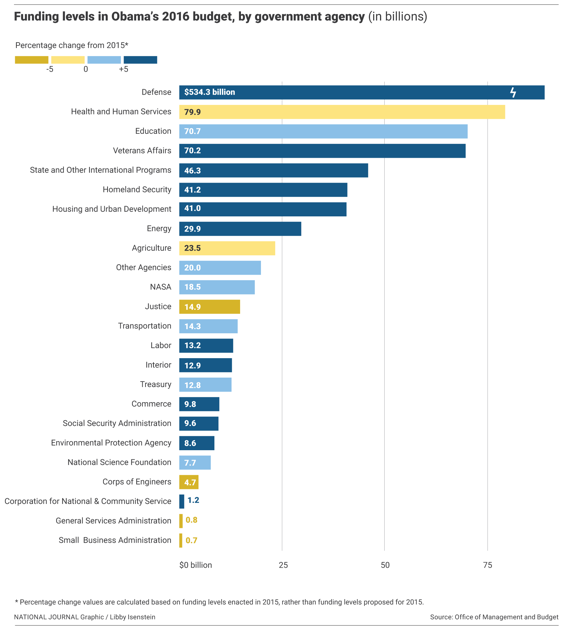 The departments that are getting the most—and those seeing the biggest cuts. President Obama's $4 trillion budget spends more on defense, homeland security, and education. But some discretionary programs stand to see substantial cuts. Here's how the federal government would fare under Obama's 2016 plan.